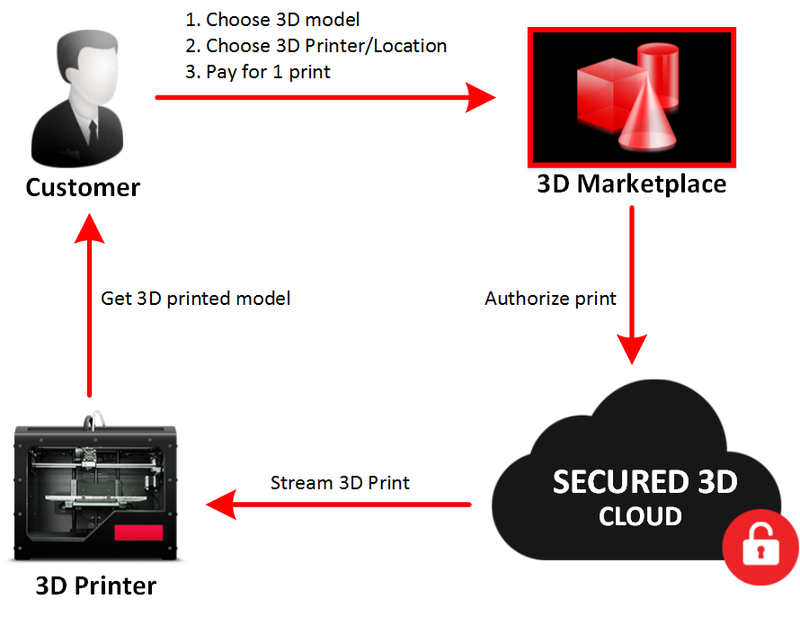 How does the Secured 3D printing cloud work? Secured3D's encrypted 3D-printing private or public cloud allows centralized command and control of 3D intellectual property, 3D printers, and users. Manage all your designs with security and ease. Anyone with a computer, iPad, or mobile phone can instantly 3D print globally, anytime. 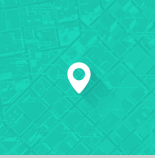 Upload your 3D designs and store them securely. When ready, stream them to a batch of 3D printers with full real-time control of your designs. Easily set user permissions to allow for a limited number of prints. 3D printers can be connected to the Secured3D cloud with one click. There are three types of cloud remote control clients: A. Software Client (Windows, iOS, Linux), B. Hardware (Intel, Raspberry, Arduino), C. Embedded into 3D printer. Multi-location enterprises can utilize the secure 3D-printing private cloud to make it easy to manage 3D printers, employees, and intellectual property. Users from remote offices can submit 3D designs to the cloud with one click and initiate secure 3D prints to any of the networked 3D printers while easily monitoring the statuses of multiple 3D printers. Feel safe with full audit logs of users, prints, and printers. Enterprises now have an easy web-based tool that allows for secure centralized command and control. 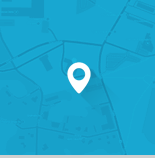 Manage all your 3D IP, 3D printers, and users with one click. Secured3D's encrypted 3D models storage and streaming cloud platform allows 3D designs monetization. Anyone with a computer, iPad, or mobile phone can instantly 3D print globally, anytime using your 3D marketplace. We limit printing to only what's been purchased. Easy to use "One Click 3D printing", for anyone, anywhere!